This is truly a Maltese Dish! 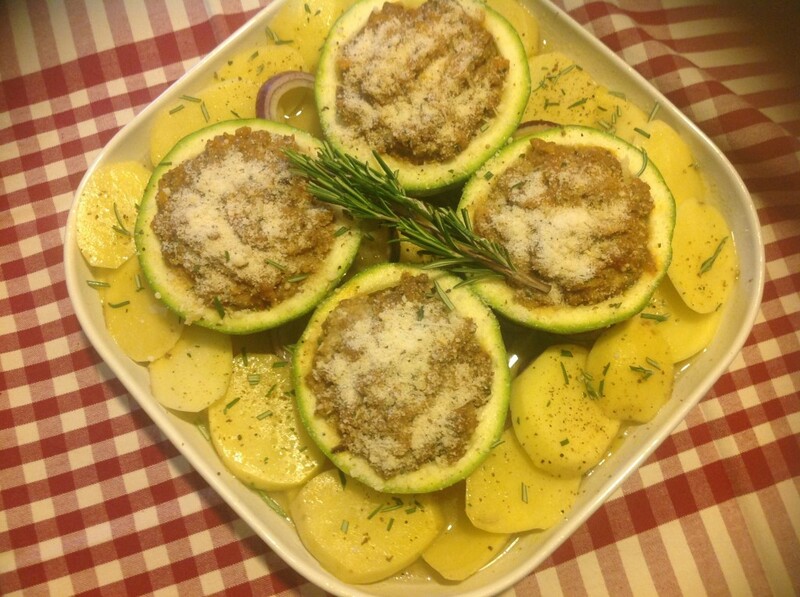 As a child, I grew up with my aunt living next door to us and often times she used to make these Qarabali fil-Forn (Baked Stuffed Marrows) which were sooo good! She always used to make an extra one for me as I loved them so much. Somehow I always preferred my Aunt’s version than anyone else’s. It really is a very simple recipe and the good thing is that it is naturally gluten free! 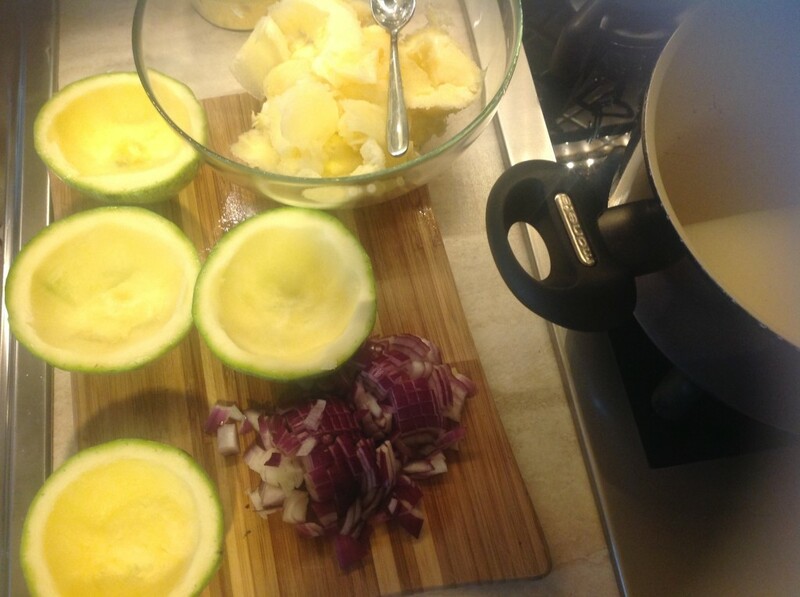 First thing is to prepare the marrows. I usually split one in two, slicing off the stalks, i.e. two halves for each person. Using a spoon, scoop out the inside. Chop that finely. 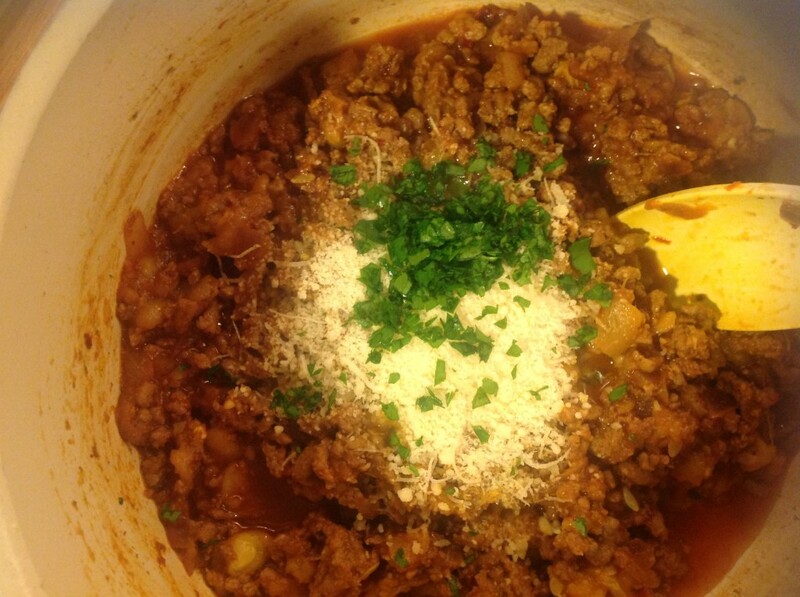 Sautee the onion and garlic until translucent and then add the minced meat. When meat starts to brown, add the flesh you scooped out and mix that in. At this stage, I add the curry if using, the chilli and the mixed spice. Add the stock granules, the tomato puree and a dash of wine. If it is too dry, add a splash of warm water. It has to be a bit dry, but not too much though. Leave it to simmer slowly till meat is completely cooked. Then add the beaten eggs, the parsley and the Parmesan cheese, mixing well. Use this mixture to fill the empty marrow shells. 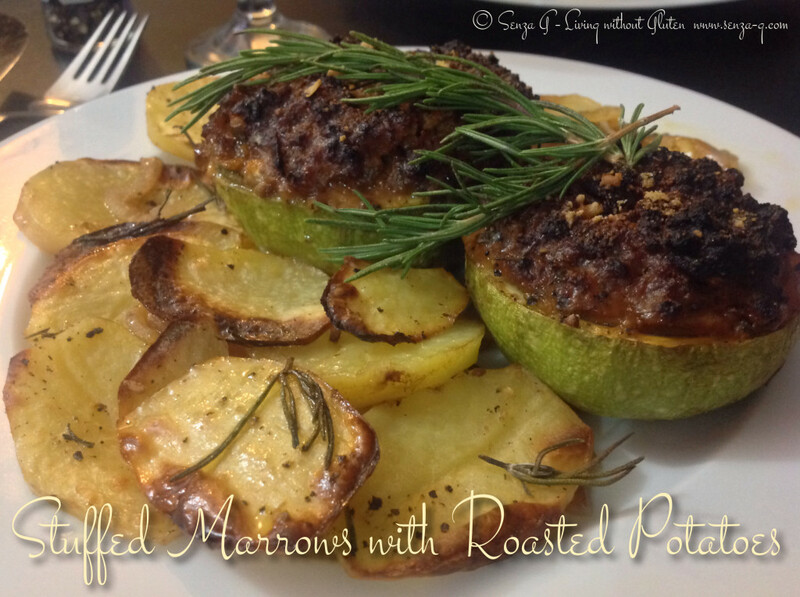 If you are making roast potatoes too, then slice them and place in a dish large enough to hold the marrows too. Layer them with the sliced onion. Put the marrows on top. Now, last two things you got to do before you pop the dish in the oven. In a small bowl, add the remaining grated cheese, the Gluten Free breadcrumbs and a dash of garlic pepper (optional) or freshly ground pepper and a pinch of Italian Mixed Herbs. 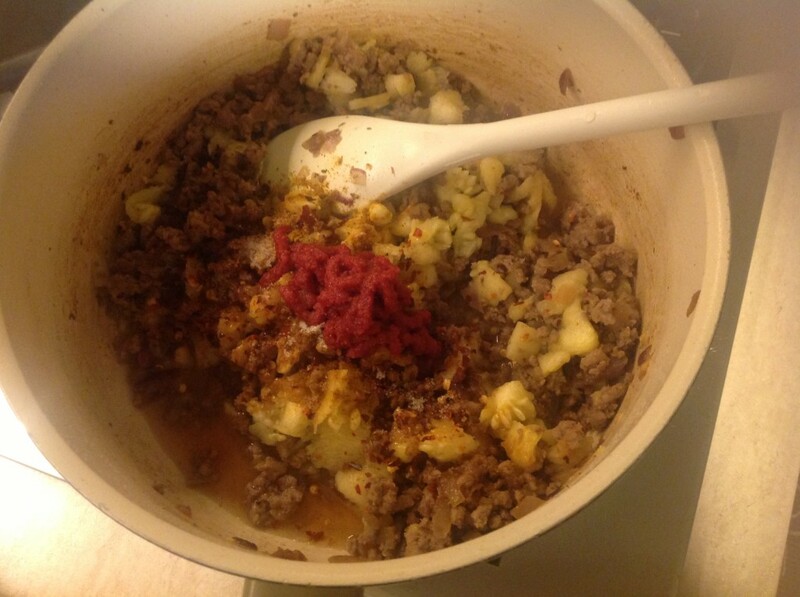 Mix and sprinkle on top of the stuffing. Finally, the last thing is to add some stock granules to some boiling water, two tablespoons of white wine and a grinding of pepper. Pour this in the dish to come up to 1 inch of the dish. Drizzle with some olive oil. Season with salt, pepper and snipped Rosemary. Place in the oven and cook until the top becomes golden and crunchy. Definitely a delicious taste of home! *** Tip – To always have gf breadcrumbs at hand, whenever I have leftover end pieces of any gf loaf, I whizz in a blender, put in a freezer bag and store in freezer.